· East Asia: Japanese Religions, History of Science in East Asia, Japanese and Chinese Philosophy, East Asian Buddhism, Confucianism, Daoism, Shinto. · European Intellectual History (1600-present): History of Science (especially Social Sciences including Religious Studies), History of Philosophy, History of Religion, Esotericism (spiritualism, theosophy, magic, etc). · Theory: Theories of Religion, Continental Philosophy, Science & Technology Studies/Philosophy of Science, Critical Theory, Sociological Theory (especially Max Weber), Linguistics. 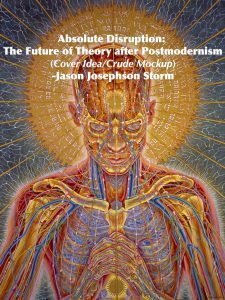 Jason Ānanda Josephson Storm* received his Ph.D. in Religious Studies from Stanford University in 2006 and has held visiting positions at Princeton University, École Française d’Extrême-Orient, Paris and Ruhr Universität, Germany. He has three primary research foci: Japanese Religions, European Intellectual History, and Theory more broadly. The common thread to his research is an attempt to decenter received narratives in the study of religion and science. His main targets have been epistemological obstacles, the preconceived universals which serve as the foundations of various discourses. 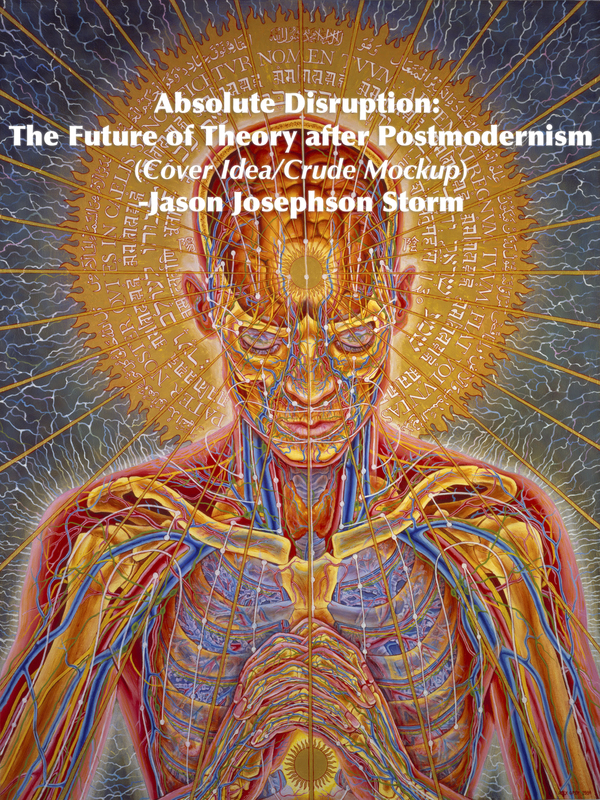 Josephson Storm has also been working to articulate new research models for Religious Studies in the wake of the collapse of poststructuralism as a guiding ethos in the Humanities. Japanese Religions: Josephson Storm’s scholarship initially concentrated on Japan in the Edo-Meiji Era (1600-1912), treating it as a central node in a series of semi-overlapping transnational networks. Drawing largely on archival sources written in Japanese, Chinese, French, Spanish, Portuguese, German, and Dutch, he worked on the importation of the Euro-American concepts of “religion,” “science,” and “secularism” into Japan and traced the sweeping changes—intellectual, legal, and cultural—that followed. This line of research culminated in his award-winning book, The Invention of Religion in Japan (University of Chicago Press, 2012), the first study in any European language to reveal how Japanese officials, under extreme international pressure, came to terms with the Western concept of religion by “discovering” religion in Japan and formulating policies to guarantee its freedom. A secondary area of research is European Intellectual History (esp. English, French, German) from 1600 to the present with particular attention to the cultural context of the formation of the Human Sciences and the construction of “religion” as an object of humanistic inquiry. 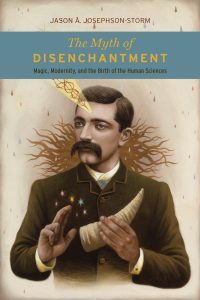 This research came to fruition in The Myth of Disenchantment: Magic, Modernity, and the Birth of the Human Sciences (University of Chicago Press, 2017) which challenges the most widely held account of modernity and its rupture from the pre-modern past. Based on archival research in five different countries, this monograph traces the history of notions of disenchantment in the births of philosophy, anthropology, sociology, folklore, psychoanalysis, and religious studies. Ironically, it shows that the myth of mythless modernity formed at the very time that Britain, France, and Germany were in the midst of occult and spiritualist revivals. Indeed, these disciplines’ founding figures were not only aware of, but profoundly enmeshed in, the occult milieu; and it was specifically in response to this burgeoning culture of spirits and magic that they produced notions of a disenchanted world. Theory: Josephson Storm also has an abiding passion for Continental Philosophy and Theory more generally. In graduate school, he was trained in Francophone poststructuralism (with a special attention to the work of Michel Foucault) and East Asian philosophy (especially the phenomenology of the Kyoto School). But he has more recently been working on the legacy of the Hegelian dialectical tradition, especially as articulated by Theodor Adorno and Walter Benjamin. Josephson Storm juxtaposes these philosophical movements with contemporary insights from the fields of linguistics, conceptual history (Begriffsgeschichte), and cognitive anthropology. In this research he has been focusing on issues relevant to epistemology, virtue ethics, the philosophy of language, and the philosophy of science. 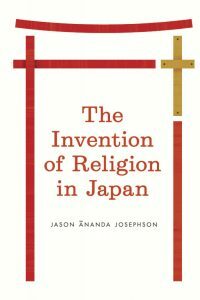 The Invention of Religion in Japan . University of Chicago Press, 2012. The Myth of Disenchantment: Magic, Modernity, and the Birth of the Human Sciences. University of Chicago Press, 2017. Working Title: “Metamodernism: The Future of Theory after Postmodernism” in progress. (Under contract, University of Chicago Press). “Max Weber and the Rationalization of Magic,” Yelle and Trein edt., Narratives of Disenchantment and Secularization, Forthcoming. “The Mystical Occident or the Vibrations of Modernity in the Mirror of Japanese Thought,” Rambelli edt., Invisible Empire: Spirits and Animism in Contemporary Japan, Forthcoming. “Religious Studies and the Jargon of Authenticity” in Smith, Führding, and Hermann edts., Hijacked! : A Critical Treatment of the Public Rhetoric of “Good” and “Bad” Religion, Forthcoming. “Paradoxes of Diversity in Contemporary Japan” in Schilbrack, edt. The Wiley–Blackwell Companion to Religious Diversity, Blackwell, Forthcoming. “The Superstition, Secularism, and Religion Trinary or Re-Theorizing Secularism” Method & Theory in the Study of Religion, Vol. 30, No.1 (2018), 1-20. “絶対的妖怪―井上円了、仏教哲学の課題、心霊の棲むポストカント思想の境界領域/Monsters of the Absolute: Inoue Enryō, the Task of Buddhist Philosophy, and the Haunted Borderlands of Post-Kantian Thought,” 国際井上円了研究, Issue 5, (2017), 1-21. “Specters of Reason: Kantian Things and the Fragile Terrors of Philosophy” J19: The Journal of Nineteenth-Century Americanists, Vol. 3, No.1 (2015), 204-211. “L’invention des religions japonaises : Les limites de l’orientalisme et de l’universalisme”Asdiwal: revue genevoise d’anthropologie et d’histoire des religions Vol.10 (2015), 77-96. “The Politics of Buddhist Studies in Early Twentieth-Century Japan” Japanese Religions, Vol.29, No. 1&2 (2014), 1-9. “The Invention of Religions in East Asia” in Turner and Salemink edts., The Routledge Handbook of Religions in Asia, Routledge, 2014. “God’s Shadow: Occluded Possibilities in the Genealogy of ‘Religion’” History of Religions, Vol. 52, No. 4 (May 2013), 309–339. “The Empowered World: Buddhist Medicine and the Potency of Prayer in Japan” in Stolow, edt. Deus in Machina: Religion, Technology, and the Things in Between. Fordham University Press, 2012. “The Invention of Japanese Religions,” Religion Compass, 2011. 5, 589–597. “Evil Cults, Monstrous Gods, and the Labyrinth of Delusion: Defining Heresy in Meiji Japan” Bochumer Jahrbuch zur Ostasienforschung. 2009. 33, 39–59. “アメリカにおける近代日本仏教史研究,” 日本思想史, 2009. 75, 145-166. “When Buddhism Became a “Religion”: Religion and Superstition in the Writings of Inoue Enryō.” Japanese Journal of Religious Studies. 2006, 33/1, 143–68. Inoue Enryō井上円了, “Prolegomena to an Argument for the Revival of Buddhism” (佛教活論序論, Bukkyō Katsuron Joron) translation, critical apparatus, and introduction, in Sourcebook for Nineteenth Century Buddhism, forthcoming. Arai Hakuseki 新井白石, excerpt from “Tidings from the West” (西洋記聞, Seiyō Kibun) in A Concise Introduction to World Religions. 3rdedition, Roy C. Amore et al, edt. New York: Oxford University Press, 2015. Yamada Toshiaki 山田利明, various Japanese entries. Encyclopedia of Taoism. 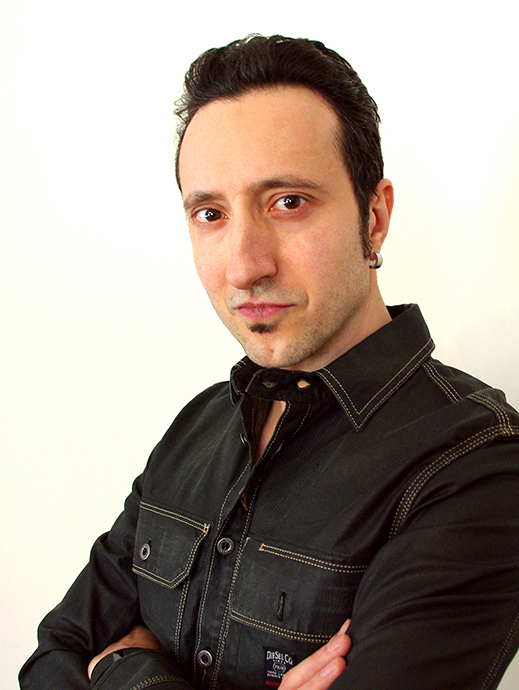 Fabrizio Pregadio edt. London: Routledge, 2007.